Become a Member of POE FOREVERMORE:Tales Of Mystery & Imagination! 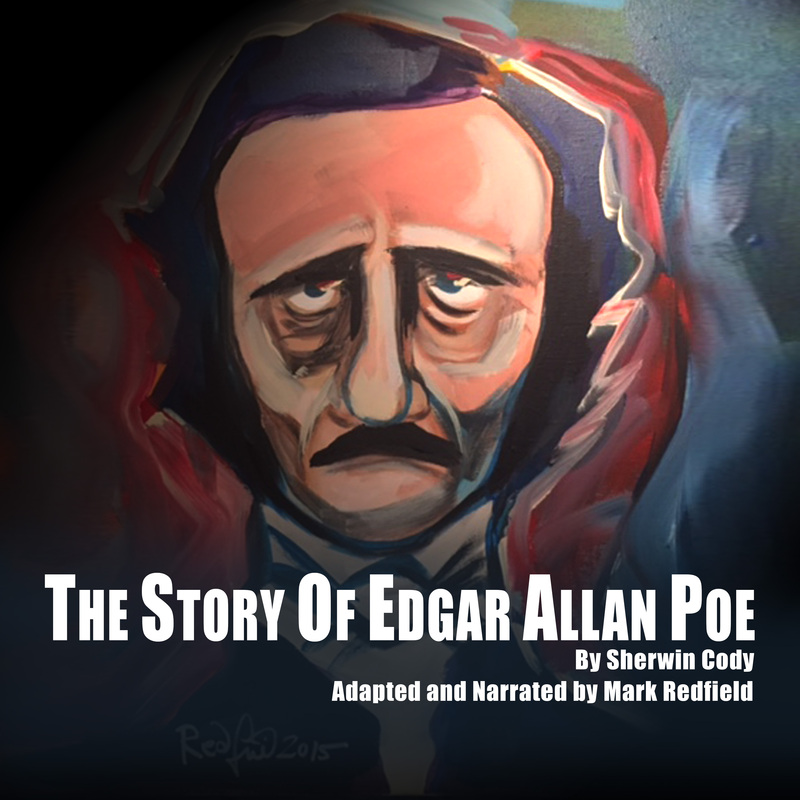 Redfield Arts Audio is thrilled to announce that our epic audiobiography of Edgar Allan Poe, featuring a full cast , music, and sound effects will go into production in 2019! 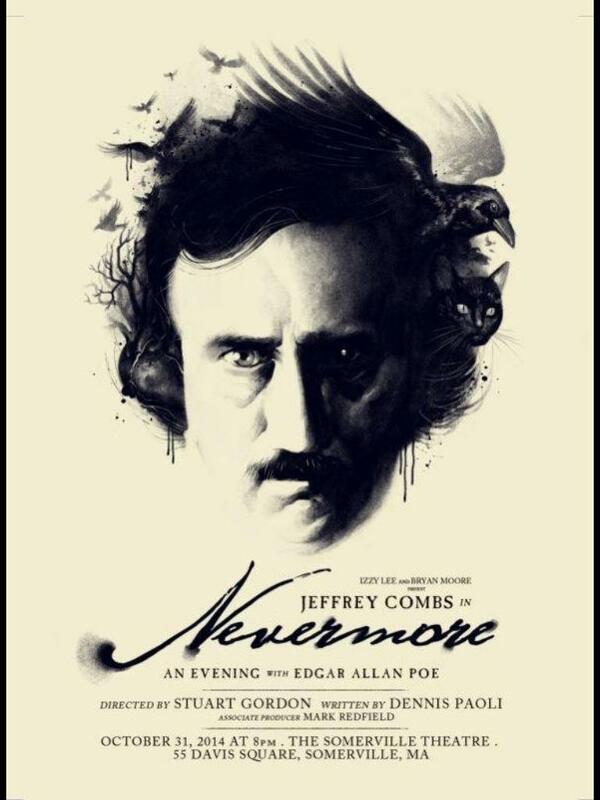 Starring JEFFREY COMBS as the voice of Edgar Allan Poe. Also featuring LANA WOOD, MACKENZIE MENTER, CAROLINE MUNRO, VERONICA CARLSON, BRINKE STEVENS, DEBBIE ROCHON. and others!, Written and produced by Mark Redfield, ALONE The Life of Poe is an epic audio drama chronicling the extraordinary life and times of Edgar Allan Poe. Presented over a story arc of 20 half-hour Chapters, with a running time of over 10 hours ALONE The Life of Poe will feature the finest actors assemble to voice over 200 roles. Original Music is Composed by Jennifer Rouse, with period music woven through-out the production. FIND OUT MORE AND PRE-ORDER! As the world celebrates Saint Patrick’s Day—from Brazil to Baltimore, from Trafalgar Square to Boston Common—the day that originally was a Catholic Feast Day, but has now come to include the celebrations around the globe of all things Irish by the Irish Diaspora (and millions of “Irish-For-A-Day” folks! ), we thought it a perfect time to celebrate Edgar Poe’s Irish heritage. 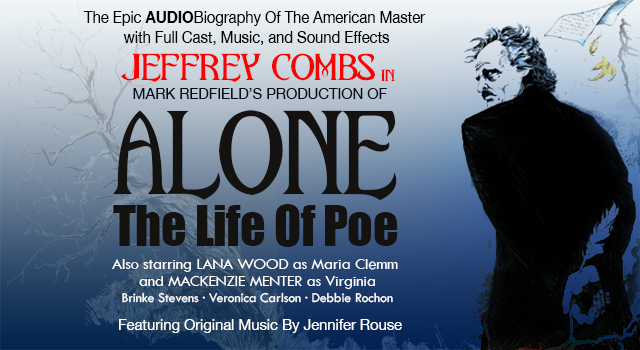 JEFFREY COMBS will voice POE in "ALONE The Life Of Poe"! 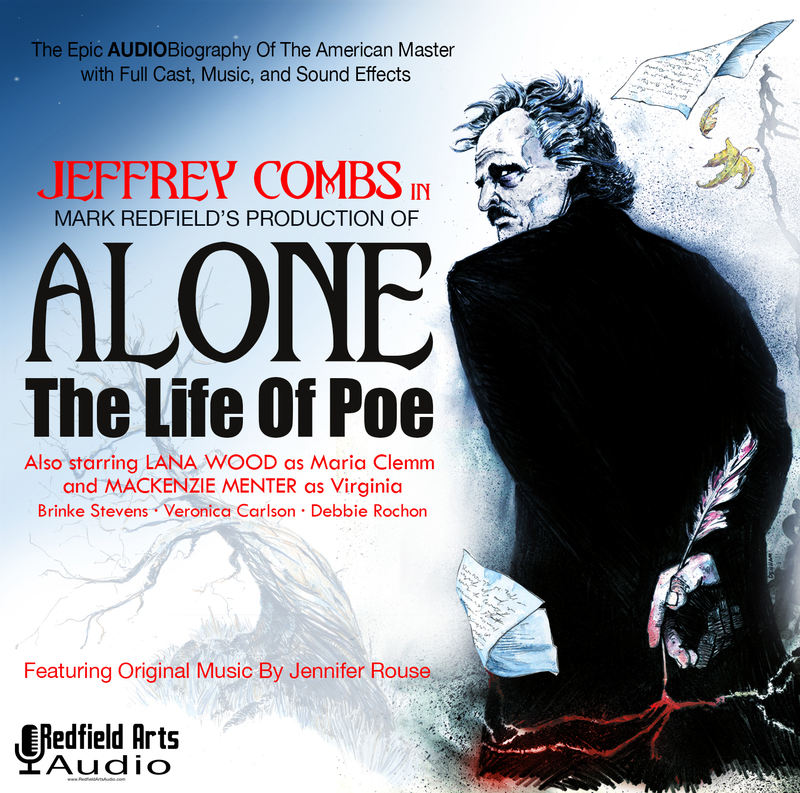 We are thrilled to announce that actor Jeffrey Combs will be the voice of "Edgar Allan Poe" in ALONE The Life Of Poe! 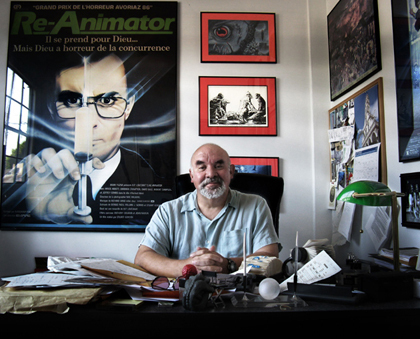 Best known for his role as "Herbert West" in the Stuart Gordon film "Reanimator", as well as his characters in Star Trek Deep Space Nine and Voyager, Jeffrey has previously played Edgar Allan Poe in the Masters Of Horror Series "The Black Cat" episode, as well as his one man show, produced by Stuart Gordon, "Nevermore". 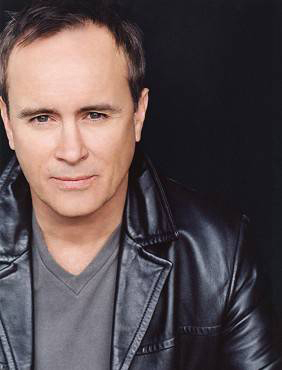 We are honored to have such a great talent to bring Poe to life and we welcome Jeffrey Combs to the cast! Poe Forevermore and Redfield Arts Audio are thrilled to announce that our epic Audio Biography of Edgar Allan Poe, featuring a full cast , music, and sound effects will go into full production in 2019! Over the coming weeks, we will begin announcing the stellar cast for ALONE The Life of Poe — The voices that will bring the world and life of the great writer, poet and critic to life! THE COMPLETE LIFE OF AN AMERICAN MASTER! 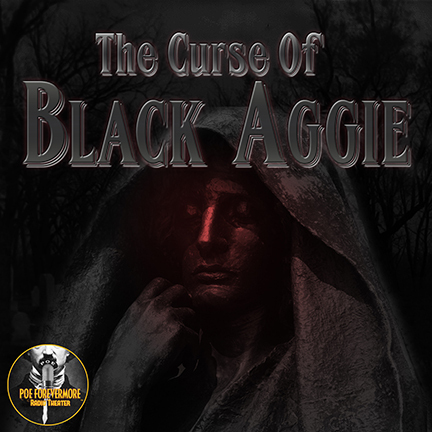 TEN HOURS OF AUDIO DRAMA! This holiday season you can listen to Mark Redfield’s fantastic reading of Charles Dickens’ timeless classic “A Christmas Carol” on The Redfield Arts Revue- - for free! 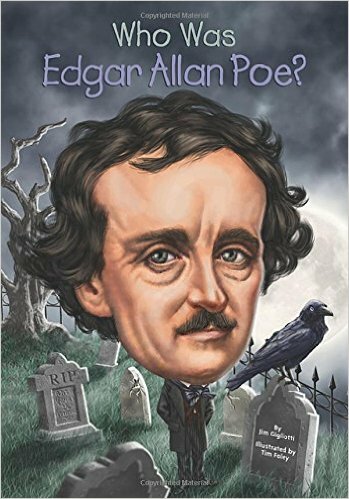 THE STORY OF EDGAR ALLAN POE Audiobook Now Available! Written By Sherwin Cody. Adapted and Narrated by Mark Redfield. 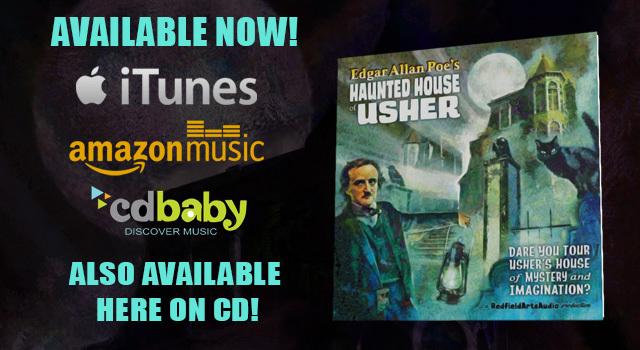 'POE'S HAUNTED HOUSE OF USHER' ON CD! NO INTERNATIONAL ORDERS AT THIS TIME. THANK YOU! Dare You Tour Usher’s House of Mystery and Imagination?! A new “haunted house” record, just like we loved when we were growing up, but this one is special! 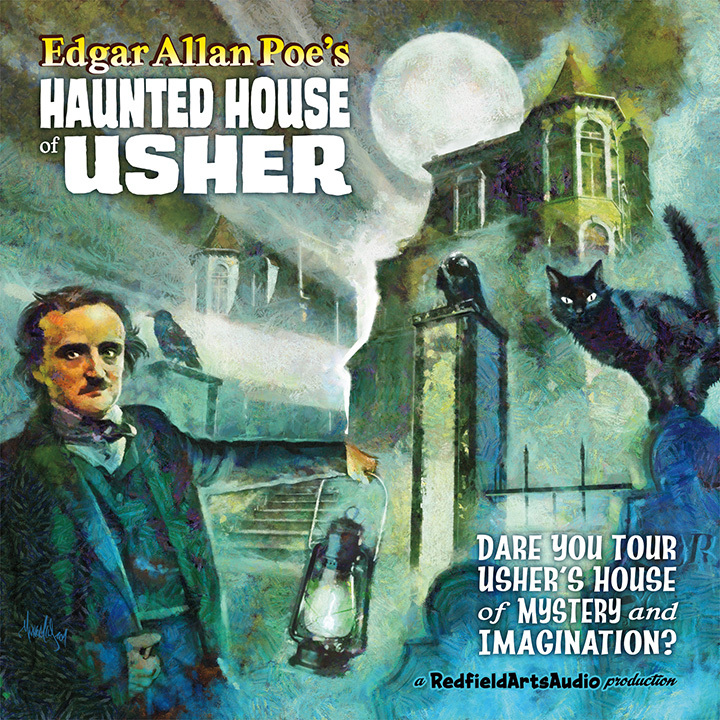 This one, Edgar Allan Poe’s Haunted House of Usher takes us on a diabolical journey through the dark creative mind of Poe as we experience some of his most chilling tales! Roderick Usher’s house is alive! And dying! Are these actual events you witness, or are they Usher’s madness come to life?! Come and visit the Haunted House of Usher, and experience what lurks inside! 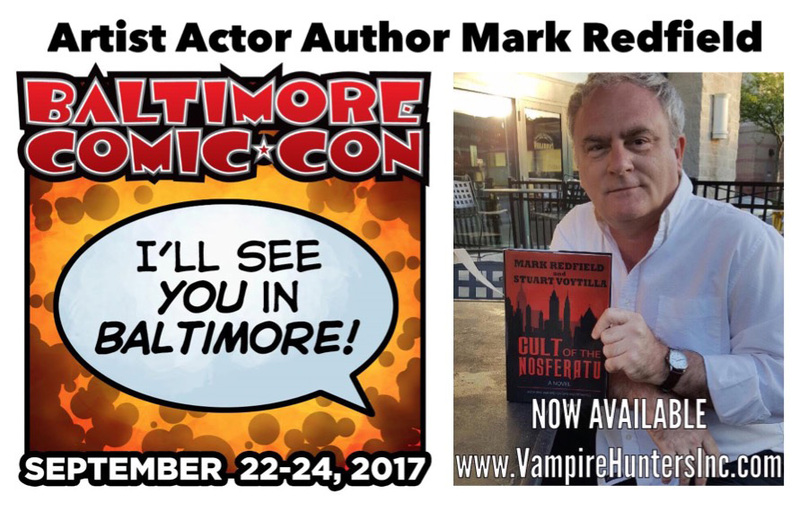 Actor-Author-Artist Mark Redfield will be at the Baltimore Comic Con at BOOTH #118, September 22-24, 2017. 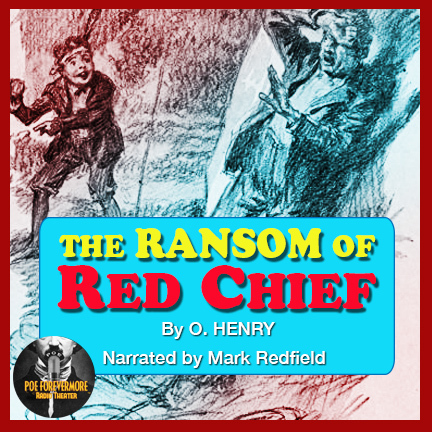 Redfield will have new cartoons and recent publications for sale! His appearance is courtesy artist Mark Wheatley and Insight Studios. 'SINBAD AND THE PIRATE PRINCESS' Nominated For A Rondo Award as Best CD! POE FOR PRESIDENT! GET YOUR CAMPAIGN GEAR NOW! Get Your Campaign Gear Now! There's no debate about it! There is only ONE candidate that will MAKE AMERICA READ AGAIN! Order your campaign gear now, and let the whole world that YOU’RE WITH POE! The only thing better than POE FOR PRESIDENT! Would be BILL SHAKESPEARE FOR VICE-PRESIDENT! Hmmmmm…POE-SHAKESPEARE ’16! That's the ticket! 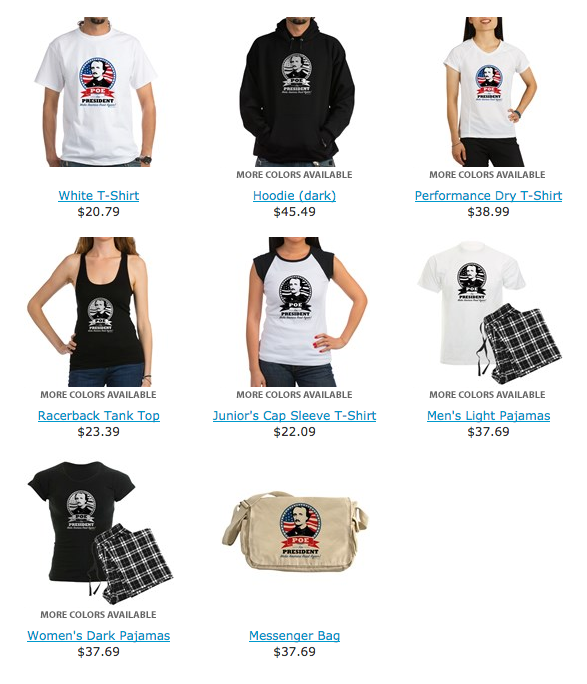 Check out and order from a great selection of Poe For President campaign gear HERE ! Book mark this website and join us weekly as PoeForevermore Presents brings you the best audio plays, essays, poetry and spoken word performance anywhere on the planet! Put on your head phones and listen as we present great audio drama and programming! We begin in October, 2016 with John Astin (“The Addams Family”) and PoeForevermore’s Mark Redfield starring in Tony Tsendeas’ great adaptation of Poe’s “The Cask of Amontillado”! Keep Calm and Keep Listening! A short memorial tribute video by Mark Redfield and Eric Supensky. NOW AVAILABLE! 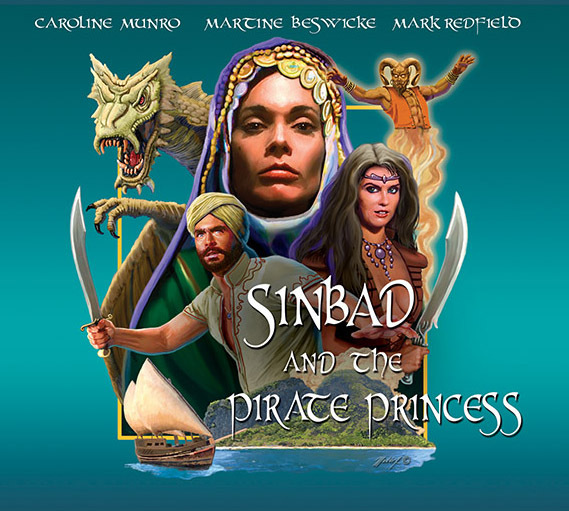 ‘SINBAD AND THE PIRATE PRINCESS’ CD Starring CAROLINE MUNRO and MARTINE BESWICKE!! Order your CD of the new audio adventure “Sinbad and the Pirate Princess” now! The 75 minute audio play, featuring a complete voice cast, sound effects and music stars Caroline Munro and Martine Beswicke! BACK YOUR CANDIDATE, POE! MAKE AMERICA READ AGAIN! Help get the message out to MAKE AMERICA READ AGAIN! Buy a t-shirt, hat, bag or mug and let America know where you stand! NEW BOOK TRAILER FOR 'CULT OF THE NOSFERATU'! First Novel In Series By Mark Redfield And Stuart Voytilla On Sale Now! 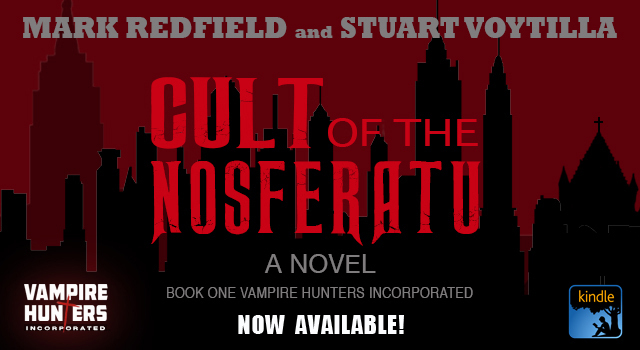 The first novel in the Vampire Hunters Incorporated series, CULT OF THE NOSFERATU, by Mark Redfield and Stuart Voytilla, debuts today and his on sale as an e-book at Amazon! 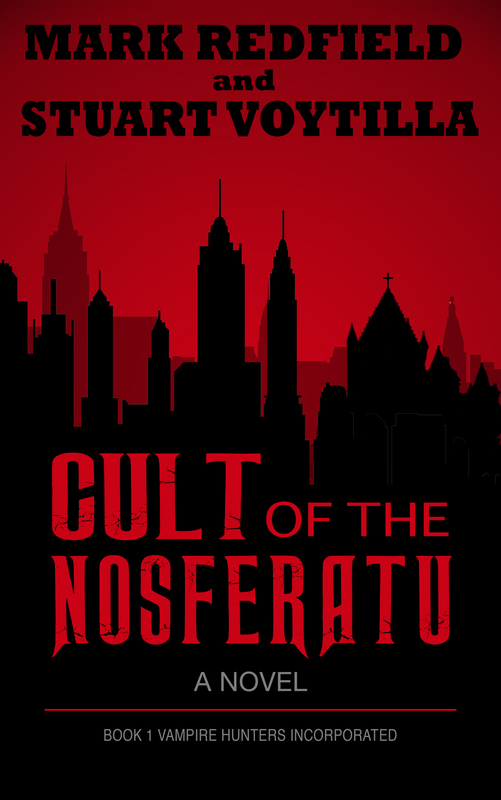 Buy CULT OF THE NOSFERATU on Amazon HERE for only $4.99 ! Don't have a Kindle? No problem! Download the free Kindle App and you can read the first Bertram Welles adventure on any device! Get your free Kindle App HERE ! Exciting horror/adventure pulp fiction awaits you! HAPPY 207TH BIRTHDAY EDGAR ALLAN POE! Today's the day! Happy Birthday Edgar A. Poe! Born 19 January, 1809. Today we pay special tribute to Edgar Poe, who has brought thrills, tears and inspiration to millions around the world with his poetry, tales and writing. “KRAMPUS” by Mark Redfield is part of a fun gallery show at Side Street Studio Arts in Elgin, Il. 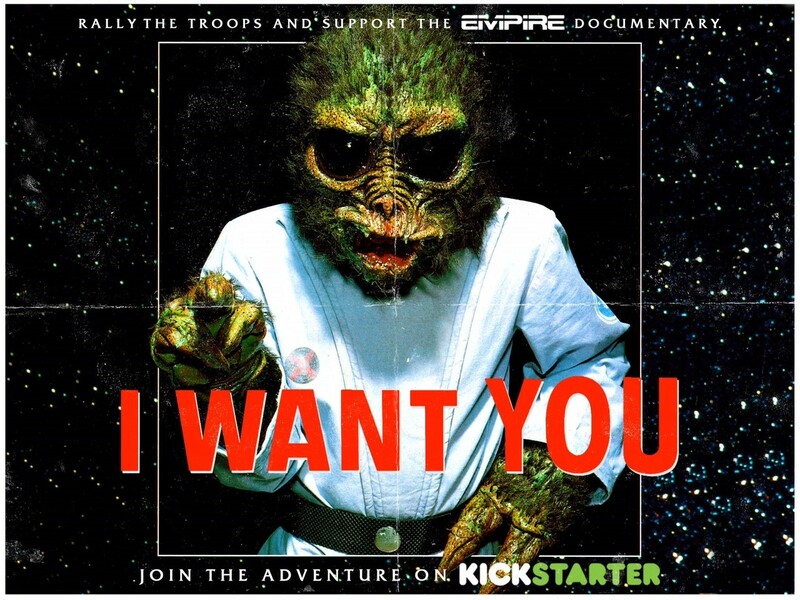 A New Documentary on Empire Pictures is Coming! POE RADIO: THE GREAT STORYTELLERS: BRAM STOKER. LISTEN FREE! With commentary by David J. Skal, and Ted Newsom. Featuring the voices of Brinke Stevens, Mary Anne Perry and JR Lyston. I'm remembering my friend, actor Robert Quarry, on the anniversary of his birth, 3 November, 1925. Bob was a strong actor, an exceptionally intelligent man, a brilliant storyteller, and a loving, true friend. 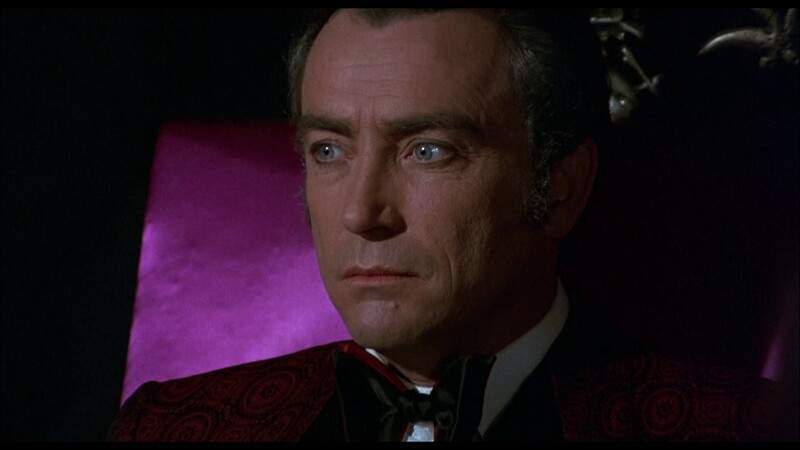 He is best remembered by film fans as portraying “Count Yorga, Vampire” in a pair of low-budget shockers produced in the early 1970s. 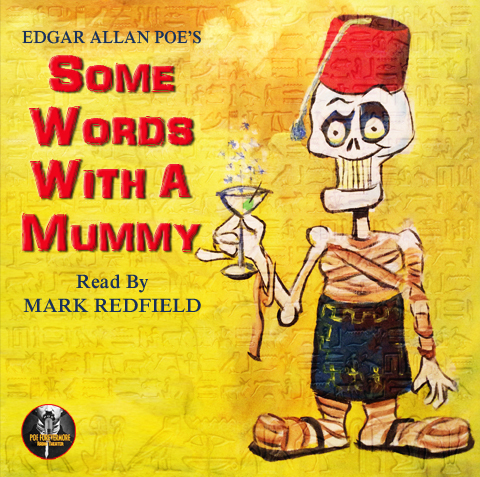 POE RADIO: SOME WORDS WITH A MUMMY - LISTEN FREE! Edgar Allan Poe's short story "Some Words With a Mummy" was published in April, 1845 in American Review: A Whig Journal. The satirical story skewers the then craze for all things Egyptian and mummies and also satirizes the thought that contemporary civilization had reached the pinnacle of both scientific thought and artistic accomplishment in things like architecture. 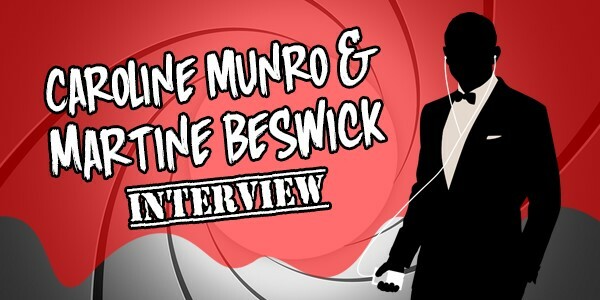 New Interviews with Caroline Munro and Martine Beswicke! Listen to two new interviews with two legendary Bond Girls on the James Bond Radio podcast, posted 11 September, 2015. 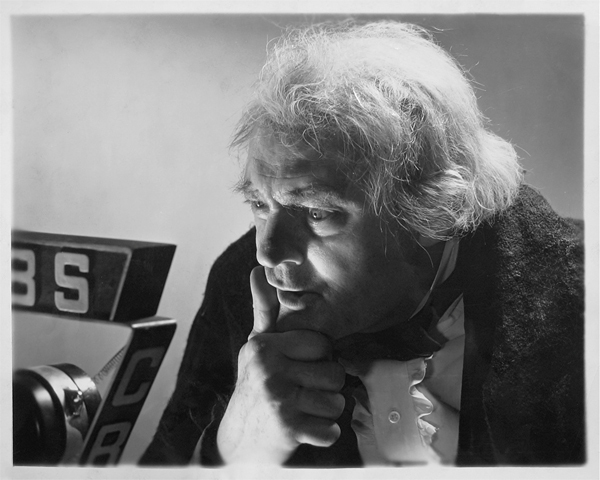 The podcast Moebanshee' Music Box on Dream Stream Radio is kicking off their 2015-2016 season with a special treat! 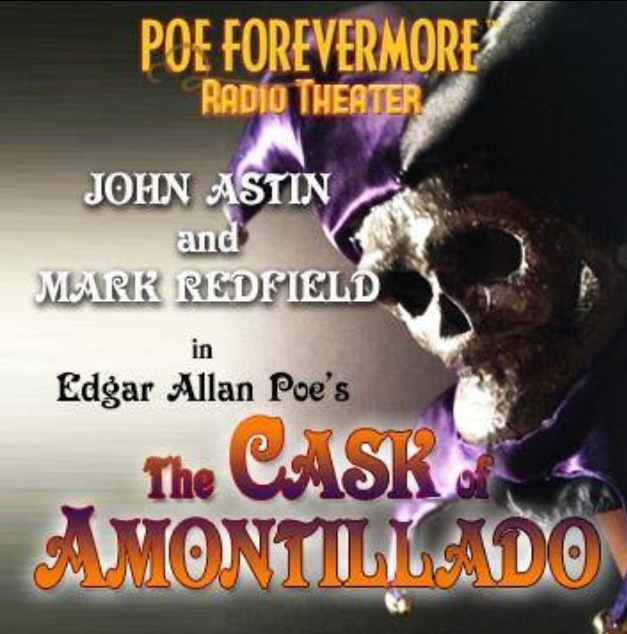 They are broadcasting the PoeForevermore Radio Theater production of THE CASK OF AMONTILLADO starring John Astin and Mark Redfield in ten-minute segments over the next four weeks! American writer and editor Rufus Griswold wrote a not-so-nice obituary in the New York Tribune. He had never forgotten about a negative review Edgar gave one of his books several years earlier. “Edgar Allan Poe is dead,” the obituary began. “He died in Baltimore the day before yesterday. This announcement will startle many, but few will be grieved by it.” Among other things, Griswold insisted that Edgar had few or no friends, and that he was an angry person who was jealous of other people’s success. MEET POEFOREVERMORE RADIO THEATER STARS CAROLINE MUNRO AND MARTINE BESWICKE! Mid-Atlantic Nostalgia Convention in Maryland this September features Bond Girls, Hammer Horror stars and a Bionic Six Million Dollar Man reunion! September 17-19, 2015 at the Hunt Valley Wyndom Hotel in Hunt Valley, Maryland. Performed by Caroline Munro and Mark Redfield. Listen Free! NOW AVAILABLE FREE ON SOUNDCLOUD! 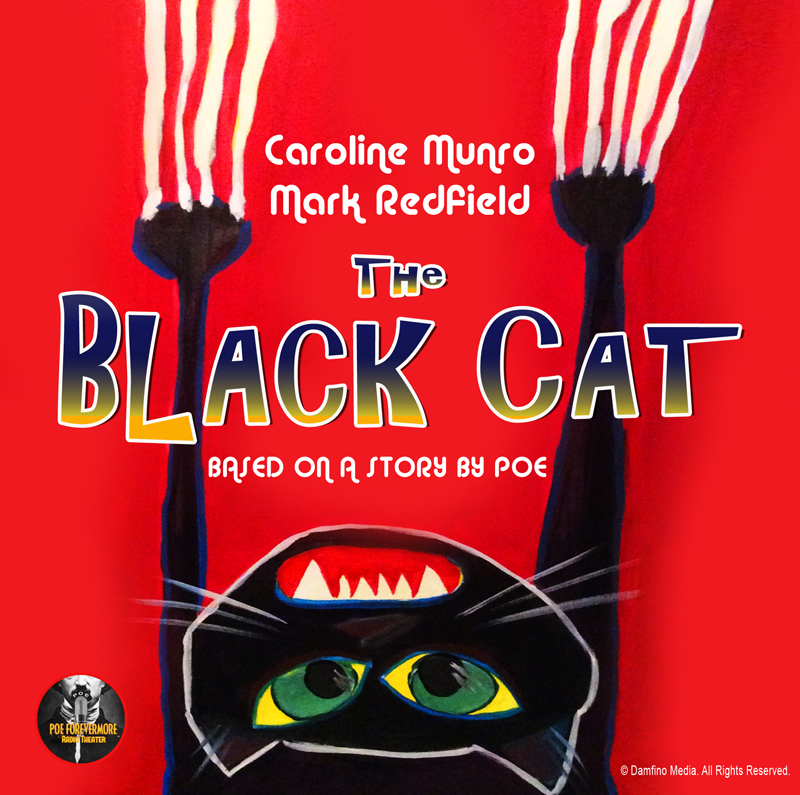 Caroline Munro and Mark Redfield star in the Poe Forevermore Radio Theater production of THE BLACK CAT, based on the story by Edgar Allan Poe. 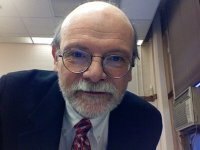 Recording Engineer/Technical Director is Bill Dickson of Drat Productions..
NEW! “THE BLACK CAT” STARRING CAROLINE MUNRO! HAMMER GIRLS CD! AND POE FOREVERMORE RADIO THEATER NEWS! When we think of famous characters from fiction, we think of the performer who first put a face to that character. Boris Karloff put a face to the Frankenstein Monster, Judy Garland put a face to Dorothy from Kansas, and William Gillette put a face to Sherlock Holmes. 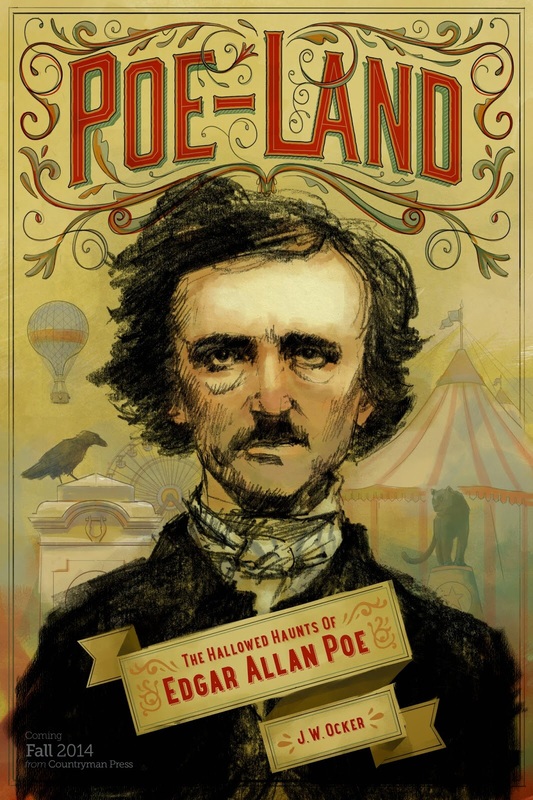 REDFIELD'S POE CARTOONS MAKE GREAT GIFTS YEAR ROUND! Tired of giving another gift card? Dinner at the diner just not enough? 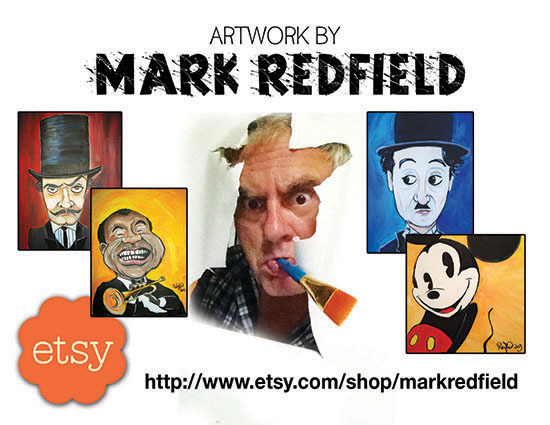 Give your adventurous friends and family something unusual--an original cartoon painted by Mark Redfield! Bram Stoker's immortal and influential novel was published on this day, 26 May, 1897. Since its publication, the novel has inspired thousands of artists to create films, music, fiction, theater, and art about its title character, Dracula, and it's themes and ideas. Performed by Mark Redfield. Listen Free! Performed by Mark Redfield and Chris Pfingsten Listen Free! Recorded before a live audience at the Baltimore Theatre Project, THE CASK OF AMONTILLADO stars Mark Redfield as Montresor and Chris Pfingsten as Fortunato. The play was adapted from Poe's short story and directed by Tony Tsendeas. VOTE NOW FOR POE FOREVERMORE RADIO THEATER! The Rondo Awards are happening now and voting ends midnight, Sunday, April 19th, 2015! 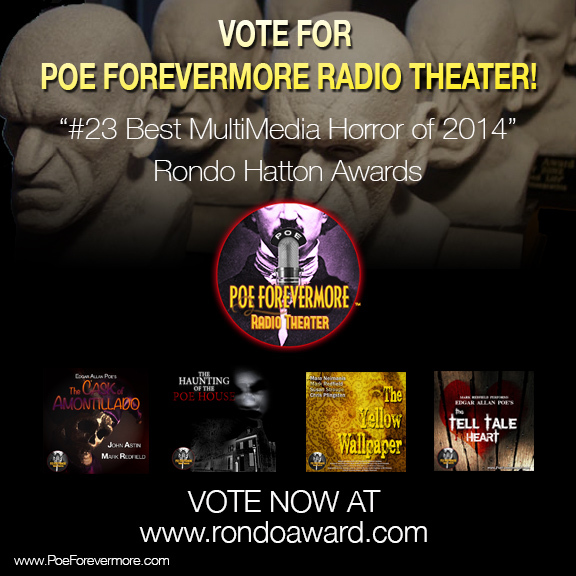 Please take a few moments and VOTE NOW for Poe Forevermore Radio Theater in the 13th Annual Rondo Hatton Classic Horror Awards! Vote for Poe Forevermore Radio Theater in category # 23 BEST MULTIMEDIA! Thank you! 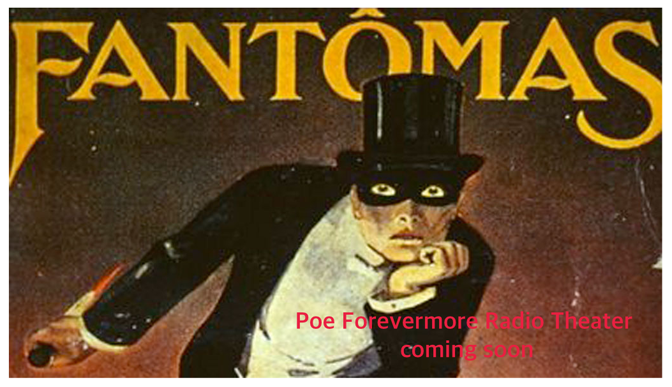 The great French crime thriller FANTOMAS is being adapted as a thrilling audio play for Poe Forevermore Radio Theater. 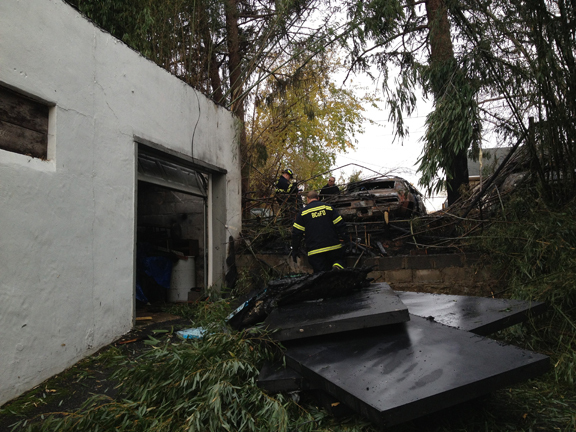 UPDATE: REDFIELD STUDIO FIRE FUND—WE NEED YOUR HELP! Well, things are moving from a crawl to a not-so-slow-crawl! The landlord is moving forward with repairs to the roof (that will really happen in March) as we keep dodging snow, like the rest of the country. We're leaving the Fire Fund up for a few more weeks in March, as we must budget for another dumpster rental and another three months of off-site storage/space rental. Thanks to all who have helped! If you can buy one of my cartoons or throw something in the tip jar or can contribute to the Fire Fund links provided, I can't thank you enough! HELP BY BUYING AN ORIGINAL REDFIELD CARTOON! We have set up a temporary fund drive to raise the out-of-pocket expenses as a result of the fire we had at our studios in Baltimore, on Sunday, NOVEMBER 17, 2014. I'm asking that you give what you can -- $25, $50, $100 or whatever you can help with. We need the money to take care of things like the dumpster/trash removal, temporary space rental until the building is repaired, and to help cover all the other unforeseen cash details that will crop up, before the insurance can help. February 26 to March 1, 2015 at the Roosevelt Hotel in New York City. 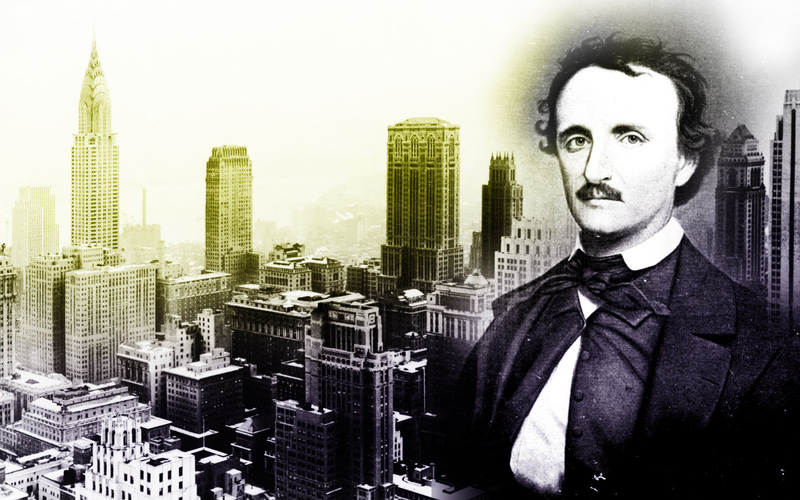 The Fourth Annual International Edgar Allan Poe Studies Association (PSA) will be held at the Roosevelt Hotel in New York City. An international organization with about 250 members, hosted by the English Department of the Pennsylvania State University, previous conferences about Edgar Allan Poe conducted by the group have been held in Richmond, Virginia in 1999, Baltimore, Maryland in 2002 and Philadelphia, Pennsylvania in 2009. 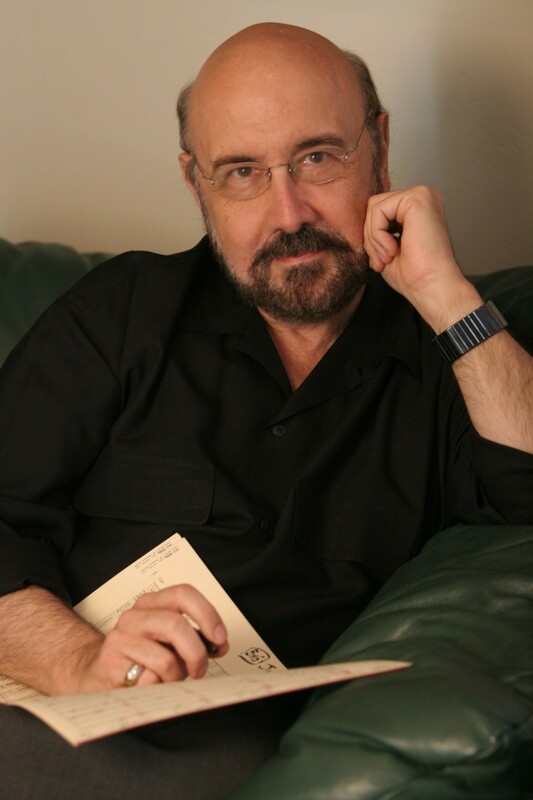 Composer Harry Manfredini has come onboard the 'Vampire Hunters Incorporated' audioplay series to compose the show's main theme and create it's score. The first season series of half-hour adventure stories will debut later this year, and are currently in production. 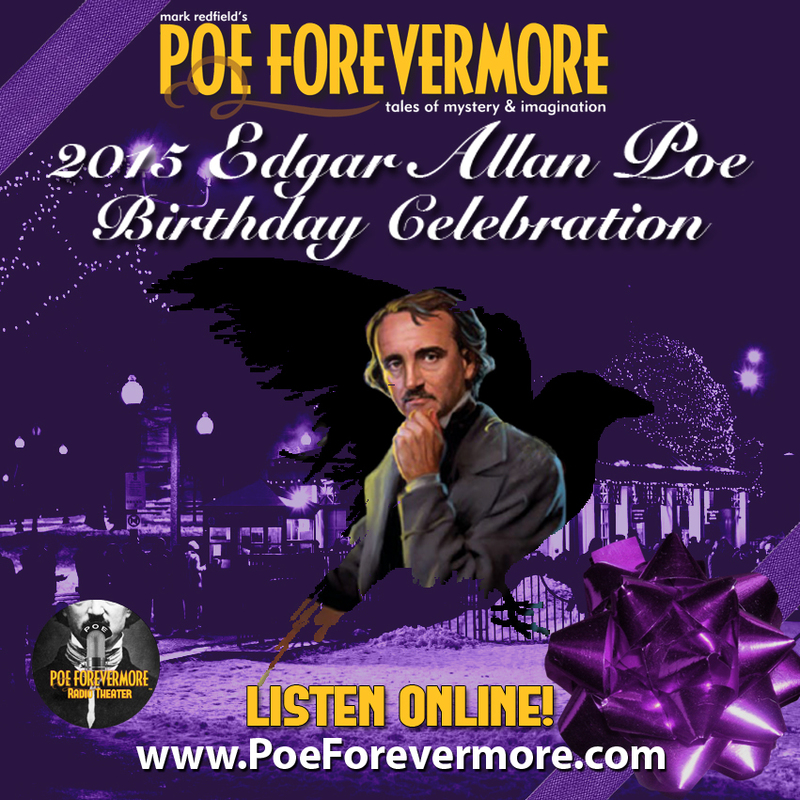 LISTEN TO OUR 2015 EDGAR ALLAN POE BIRTHDAY CELEBRATION! Only Poe Forevermore takes you to celebrate Poe’s Birthday in Australia, Baltimore and at his birthplace, Boston! With music, special guests and dramatic programming, listen to our 2015 Birthday Show! It’s free and you’re invited! 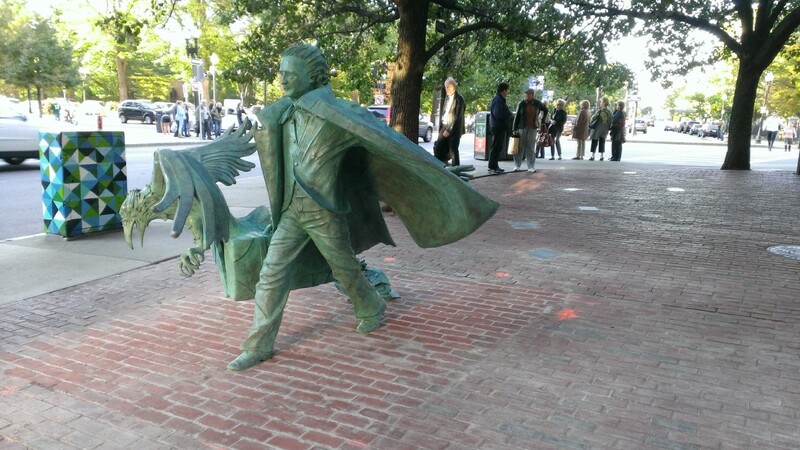 By Katherine Jihyun Kim, Ph.D.
How a graduate student turned an indifferent, cold-shouldered town around to embrace one of its most famous sons, and snowballed a small 2009 bicentennial tribute into 2014's spectacular Poe public art statue, "Poe Returning to Boston". It's been a ride, Eddy, but welcome home! REDFIELD STUDIO FIRE FUND—WE NEED YOUR HELP! 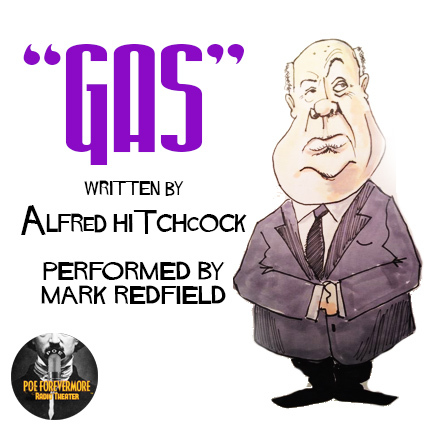 Performed by Mark Redfield Listen Free! "Mark Twain: How To Tell a Story" is performed by Mark Redfield. It is comprised of four delightful essays penned by the great American humorist and storyteller, Mark Twain. Recorded before a live audience in 1999 at The Roland Park Women's Club in Baltimore, Maryland. Richard Corben has had a long and varied career as an artist and illustrator, having done stellar work for most major comics publishers, but being known primarily in weird fiction reading circles for illustrating and adapting stories for some of the most popular black and white comic magazines, Vampirella, Creepy and Eerie, Warren publications popular primarily in the 1970s. His work for Heavy Metal Magazine has garnered him legions of fans. 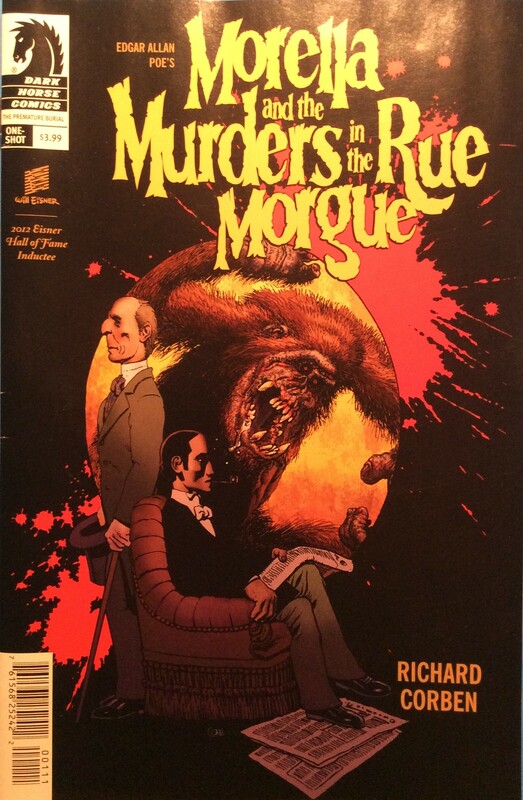 Richard Corben is a 2012 Eisner Hall of Fame Inductee. 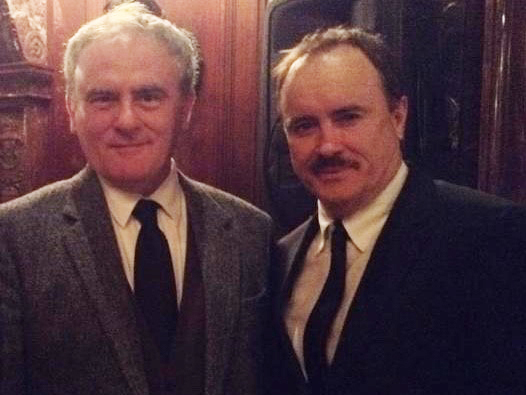 During production week of the Boston premiere of “Nevermore: An Evening with Edgar Allan Poe” in late October, 2014, after a busy day of texting, emailing, phoning and generally doing the never-ending business of opening a play, Jeffrey Combs (the star) and me (the producer), having dealt with dozens of details and questions and answers regarding the production as it loomed closer (Halloween) including a full day of staging the show to “work” in the Somerville Theatre and solving the lighting and sound issues with the technicians, we had a conversation about acting and playing Poe. THE HOURS OF LIFE is the new musical about Poe that had its world premiere in Seattle at the Cornish Studio Theatre on December 5, 2014. The Theatre 22 production was written by Paul Lewis and directed by Corey D. McDaniel. The show opens with cast members filling the stage in song, all dressed in beautifully tailored period costumes. The intimate feel of the 100-seat theater was immediately felt with the characters literally standing at your side. After the rousing finale of the first of 17 songs, the ensemble disperses and the play gently unfolds. Crash, smash, bang, boom! Suddenly there he was sprawled on the floor less than eight feet away between the left hand side of the stage and me. The well dressed lovely blonde-haired woman who sat in the seat next to me at my left hand was clearly startled with surprise and concern, as was I also, reacted and began to instinctively rise from her seat to assist Edgar Allan Poe who had just taken a dramatic startling sudden drunken fall off the stage onto the floor right in front of us. Picture if you will a brisk Christmas Eve of the early 1970’s in the snowy countryside around Defiance, Ohio. A teenage boy and his young sister sneak away from the extended family festivities taking place in the wood-paneled basement, to hunker down on the carpeting in front of a hulking Entertainment Center upstairs. The strains of Bernard Herrmann conducting Tchaikovsky’s Theme from Piano Concerto No.1 (aka Tonight We Love) begin, and soon the two are whisked away to Queen Victoria’s England—and somehow, to Franklin Roosevelt’s America at the same time! With two plays performing on opposite ends of the country in October of 2014, the director of “Nevermore: An Evening with Edgar Allan Poe” (East Coast) and “Re-Animator: The Musical” (West coast) talked with Mark Redfield (who was asked by Jeffrey Combs to come aboard and serve as Associate Producer to help launch “Nevermore” in Boston) about the making-of both plays. And very different plays, they are, too. 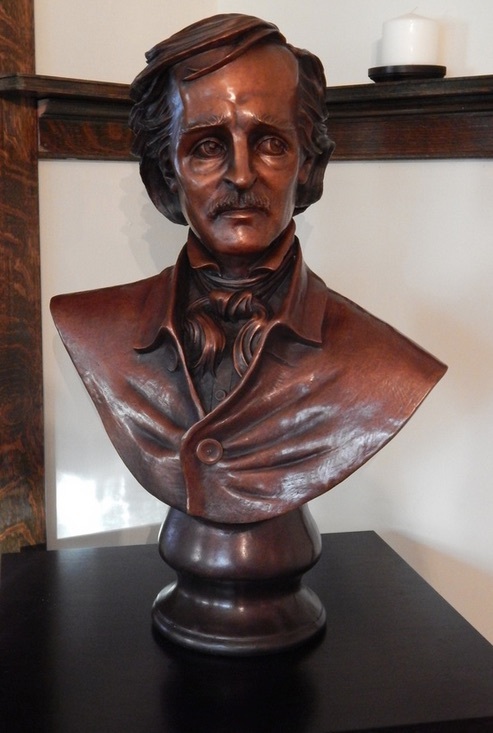 BOSTON (October 22, 2014) — On Thursday, October 30 at 6pm, the Edgar Allan Poe Bronze Bust Project will unveil the recently completed Poe bust to an audience of literary fans in the Abbey Room McKim Building at the Boston Public Library. Dennis Paoli writes plays and films. His oeuvre includes adaptations of the works of Poe and Lovecraft. Re-Animator (1985), Dreams of the Witch House (2005), The Black Cat (2007) and Nevermore: An Evening with Edgar Allan Poe, a one-man play starring Jeffrey Combs that has been winning and astonishing audiences around the country since its premiere at The Steve Allen Theatre in Los Angeles in 2009. I talked with Dennis about his approach to adaptation and screen and play writing, and getting under the skin of the man Edgar Allan Poe, in early October, 2014. 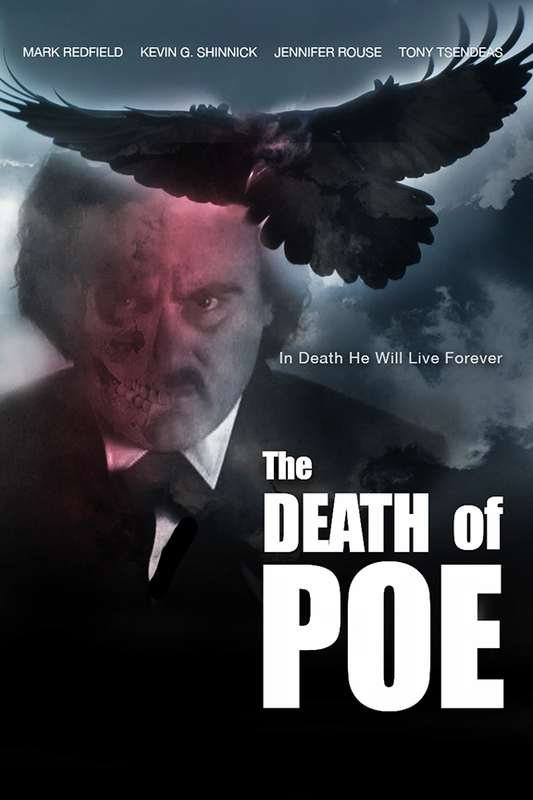 Mark Redfield’s 2006 film THE DEATH OF POE, which chronicles the last days of Edgar Allan Poe in a dream-like and expressionistic cinematic style, is now available on Vimeo Video-On-Demand.